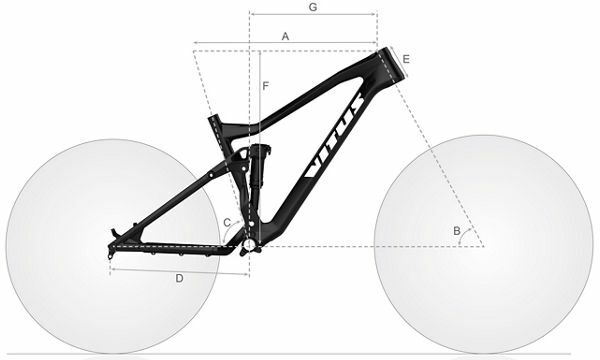 A trail tamer with award-winning pedigree, the Sentier is Vitus' upgrade on their excellent Nucleus model. MBR's Hardtail of the Year for under a grand, it proves more than its worth with its agility, speed and terrain-attacking attitude. Built around a modern geometry-shaped low, long and slack alloy frame, the fantastic Sentier VR is equipped with high-end tech and spec to let you get down and dirty on every ride. A massive 140mm travel Rockshox Boost fork soaks up every impact, while plus-sized tyres, a Shimano SLX 1x11 drivetrain and powerful MT-500 hydraulic disc brakes give everything you could ever need to ride as rowdy as you like. The frame is designed to feature dropper post routing for future upgrade potential and is equipped with a tubeless ready setup, this hardtail is a hero of the mountain.